“I am prepared to cooperate in the investigation,” the sitting MLA states in his letter detailing what he describes as an elaborate “identity fraud” scheme. 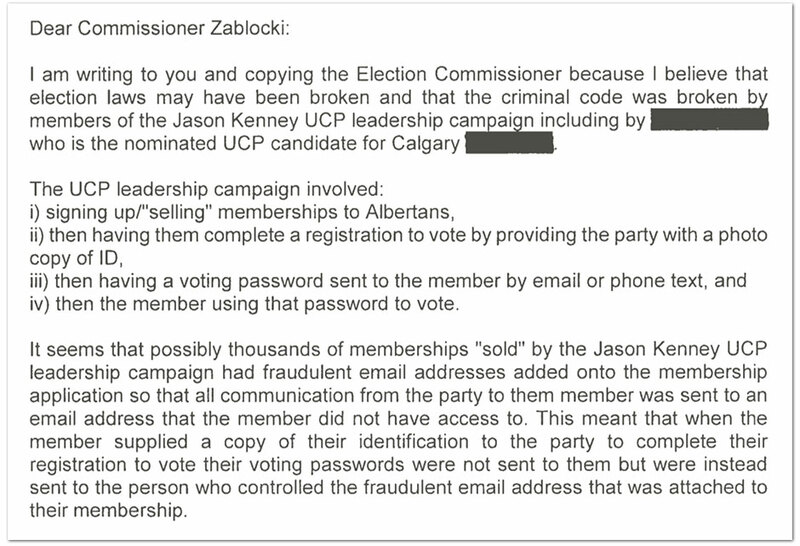 Dated February 11 and addressed to RCMP Deputy Commissioner Curtis Zablocki, Alberta’s top mountie, Gill’s letter alleges that “fraudulent” e-mails were used to cast “thousands” of fake votes during the 2017 UCP leadership race. 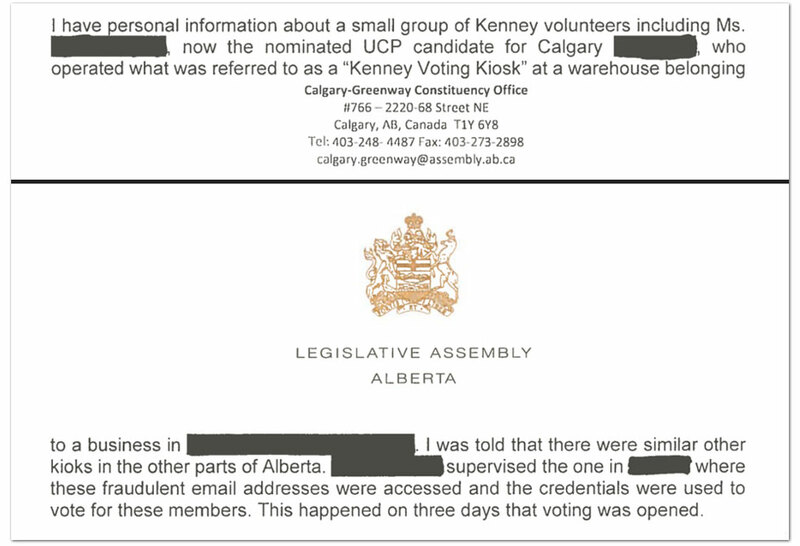 Gill tells the RCMP the alleged scheme involved Kenney’s campaign “signing up” supporters and collecting IDs, but adding “fraudulent e-mail addresses” to their membership applications – meaning when it was time to vote, “voting passwords were not sent to them” but to Kenney’s team instead. 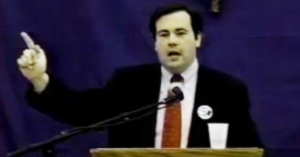 “It seems that possibly thousands of memberships ‘sold’ by the Jason Kenney UCP leadership campaign had fraudulent e-mail addresses added onto the membership application,” Gill tells the RCMP. The RCMP is informed Gill has “personal information about a small group of Kenney volunteers,” including a Calgary-area UCP candidate, whom he alleges cast fake votes at a “Kenney Voting Kiosk” set-up in an empty warehouse. “I was told that there were similar other kiosks in other parts of Alberta,” Gill alleges to the RCMP, adding that “fraudulent e-mails were accessed and the credentials used to vote” by Kenney’s team at these locations. Our membership is probably in the range of ten times larger than all other Alberta parties combined. 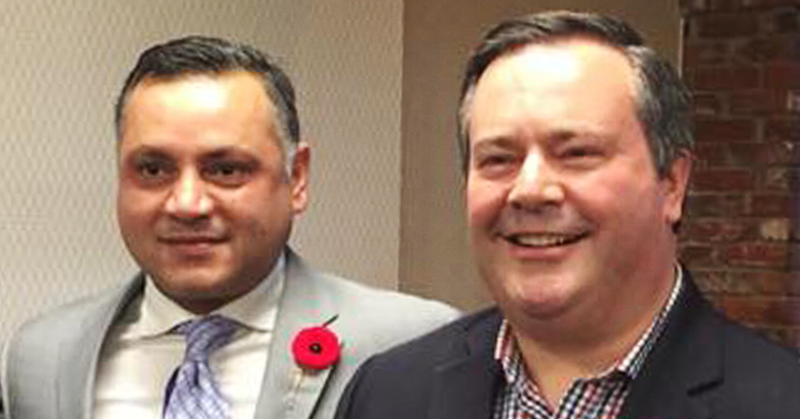 A spokesperson for the RCMP’s K-Division confirmed Wednesday that the Mounties are currently looking into the allegations about Kenney’s leadership team, but said they are conferring with Elections Alberta about pursuing an investigation. “We can confirm that we did receive the letter and are in contact with Elections Alberta,” K-Division spokesperson Fraser Logan told PressProgress. Gill also confirmed the authenticity of the letter to PressProgress and added the Office of the Alberta Elections Commissioner acknowledged receiving his letter too. The independent MLA, who left the UCP following a ballot box stuffing controversy last year, has also made headlines in recent months alleging Kenney’s inner-circle were involved in a $40,000 donation laundering scheme to direct money to the UCP leadership campaign of Jeff Callaway – a so-called “kamikaze” campaign aimed at destroying Kenney’s main rival, Brian Jean. Investigators working for the Office of the Alberta Election Commissioner have already questioned a number of donors about “irregular financial contributions,” including suspicious donations made by former federal Conservative staffers. On Tuesday, Kenney denied allegations he helped organize or fund the scheme. UCP officials did not respond to multiple requests for comment from PressProgress on the allegations Gill shared with the RCMP.